Uttarakhand, better known as the Devbhumi (land of Gods), is truly one of the most heavenly parts of the earth. 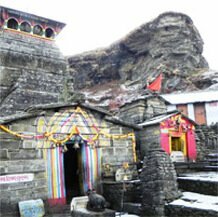 One of the tales of its rich past relates to a set of five Shiva temples known as Panch Kedar, which includes - Kedarnath, Tungnath, Rudranath, Madhyamaheshwar and Kalpeshwar. 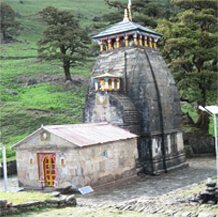 These sacred sites of Lord Shiva are located in the Garhwal region of Uttarakhand. The story of their origin is mostly traced to the Pandavas (from the Hindu epic Mahabharata). Each of the temples is placed on the most serene and unruffled parts of the Indian Himalayas. No direct motorable road goes straight to the temples. Every temple requires some amount of trekking with varying levels of difficulty. Undertaking Panch Kedar Yatra will take you on a long magnificent journey to remember for a life time. Attached with the element of sacredness, the meadows, mountains, snow-covered peaks, wildlife and streams - all attain a more special significance. The Panch Kedar pilgrimage normally takes 15/16 days to complete. Legends have a way of getting twirled or divided into many streams while they go down the time line through centuries. One of the versions of the most popular legend associated with the formation of Panch Kedar relates to the era of Mahabharata. After killing their blood relatives and gurus, the enormous load of remorse made the Pandavas seek Lord Shiva for atonement. Enraged with their actions and dishonesty on the war field, Lord Shiva evaded their requests. He hid at Guptkashi in the Himalayas of Garhwal disguised as a bull. Pandavas came looking for Shiva in the Garhwal region and recognized God Shiva in the form of bull. Bhim tried to catch hold of the bull but it dived in the ground and vanished. That is why, it is believed, the site of Guptkashi (hidden kashi) got its name. Shiva reappeared in parts at different parts of Garhwal. Hump came up at Kedarnath, navel appeared at Madhya-Maheshwar, face emerged at Rudranath, arms at Tungnath and hair at Kalpeshwar. Pandavas built temples at each of the five places where the Lord emerged as such. Taken together these five places came to be known as Panch Kedar. Located at a height of 3,584 metres, Kedarnath temple is set in a spectacular background of snow-clad peaks and forests. It is in Rudraprayag district of Uttarakhand and occupies a prominent position among the Panch Kedar temples. The temple houses a conical shaped Shiva lingam which is considered to be the hump of Shiva. Present temple, built with grey stone slaps, is said to be established by Adi Shankaracharya in 8/9th century A.D. Nearest motorable road towards Kedarnath is Gaurikund. After which a trekked path of 14 km is taken to reach the shrine. The trek, though mainly steep, takes one through wonderful landscapes, keeping the spirits of pilgrims soaring at all times. At a height of 3,680 meters lies the highest temple of Shiva in the world. 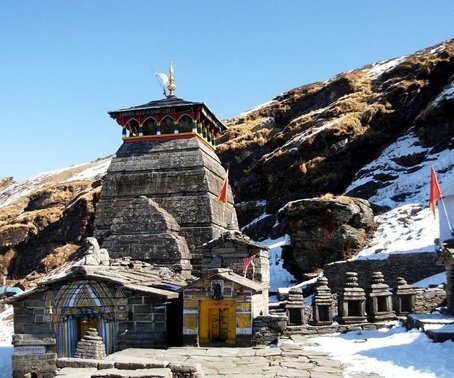 In the Rudraprayag district of Uttarakhand, Tungnath can be reached by indulging in 4 km (approx.) trek from Chopta. It is here that Shiva's arms have said to appear. A moderate trek, walking on the paved path towards Tungnath will provide vistas of splendid peaks such as Nanda Devi, Kedarnath, Chowkhamba and Neelkanth. Lovely meadows and delightful flowers of rhododendron will greet you at regular intervals. One can further trek up to 2 km to Chandrashila peak to see an incredible panoramic view of the surrounding peaks. It is the place where Shiva's face came up the ground. 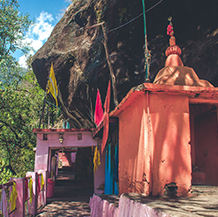 A natural rock temple, situated at the height of 2,286 meters amid alpine meadows and thick forests of rhododendrons, is where Shiva is worshipped as 'Neelkanth Mahadev'. Many sacred kunds (pools) such as Surya Kund, Chandra Kund, Tara Kund and Mana Kund exists around the temple. Fabulous peaks of Nanda Devi, Nanda Ghunti and Trishul form an amazing backdrop. 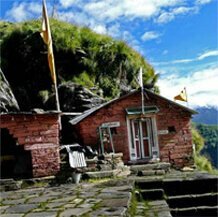 The trek involved is considered harder to reach as compared to other Panch Kedar temples. Most of the treks leading to Rudranath start from various points in Gopeshwar (in Chamoli district) and can stretch up to 20 km. At the height of about 3,289 meters, Madhyamaheswar is the place where, it is believed, the middle or navel part of Shiva emerged. 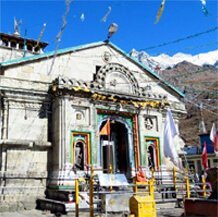 The temple lies in a beautiful green valley in the Mansoona village of Garhwal Himalayas and is encircled by spectacular snow-covered peaks of Kedarnath, Chaukhamba and Neelkantha. Trek to Madhyamaheswar can be undertaken from Uniana, which is around 18 km from Ukhimath. The trek is 19 km (approx.) long and can be easily travelled till Bantoli (some 10 km from Uniana); from Bantoli the slope becomes steeper and a little difficult. Bantoli is also the place where Madhyamaheswar Ganga merges with Martyenda Ganga. The verdant forest; the beautiful wildlife, including the endangered Himalayan monal pheasant and Himalayan musk deer; waterfalls; and surrounding peaks makes this trek a truly memorable one. In the Kalpeshwar temple, Lord Shiva's hairs (jatas) appeared, as per the legend. Because of the long and tangled locks of Shiva, he is also called Jatadhari or Jateshwar. The temple of Kalpeshwar is located in the tranquil and scenic Urgam valley in Chamoli district of Uttarakhand, at an elevation of 2,200 metres. Urgam valley, mainly covered in dense forest, proffers interesting vistas of apple orchards and potato plantations on terraced fields. Helang, located on Rishikesh-Badrinath road, is the place from where one can reach Urgam valley. From Urgam there is an easy trek of 2 km till Kalpeshwar. On the trip from Helang to Kalpeshwar one can witness the beautiful confluence of Alaknanda and Kalpganga Rivers. Being placed as such, one can easily club the two destinations - Kalpeshwar and Badrinath - in one's religious itinerary.